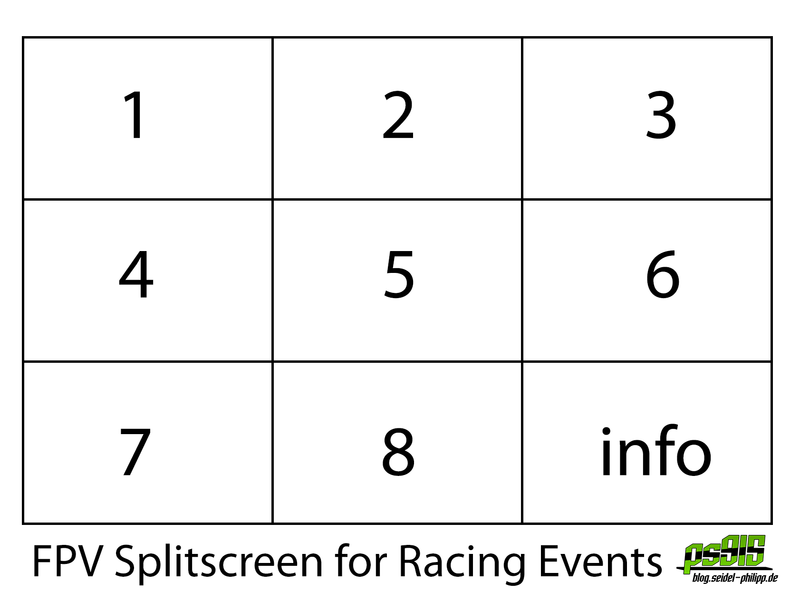 Last year, at the FPV race in Bexbach, I had an idea to build a fpv splitscreen for the next events to watch the races from the perspectives of all pilots. 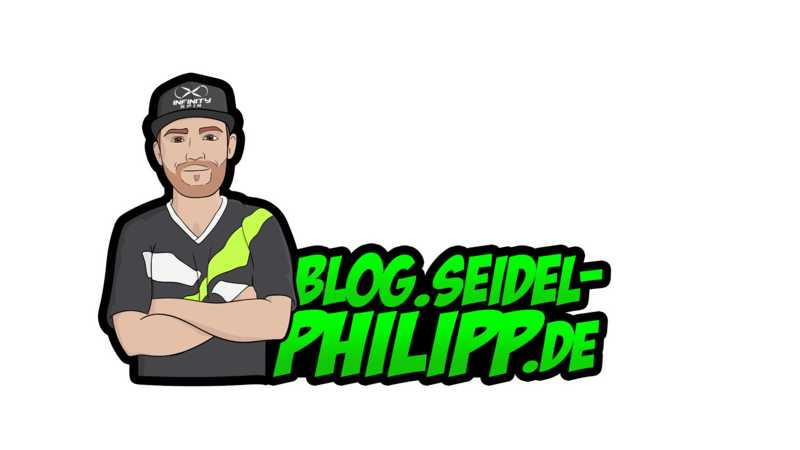 Unfortunately, I have not finished my project to the Friedewalde FPV Festival. In Nördlingen I now had my prototype for the first time and was amazed how well the device worked. Since the first photos on Facebook I had many inquiries, so I decided to write an article about it, of course. Have fun while reading and building it yourself. 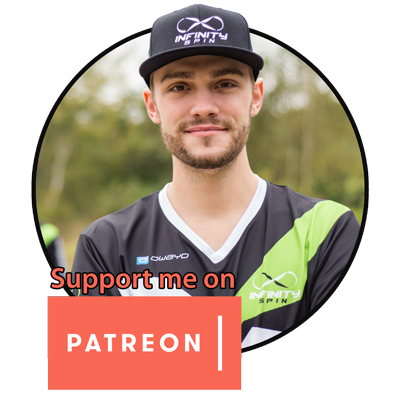 First and foremost, I’ve built the FPV Splitscreen for my buddies from Infinity Spin, Egodrift and RAM Racer Lüneburg, as we regularly go to events together. My first thought was to mount several 7 or 10 inch screens on a plate next to each other. This plan, however, I quickly rejected because of the high costs. 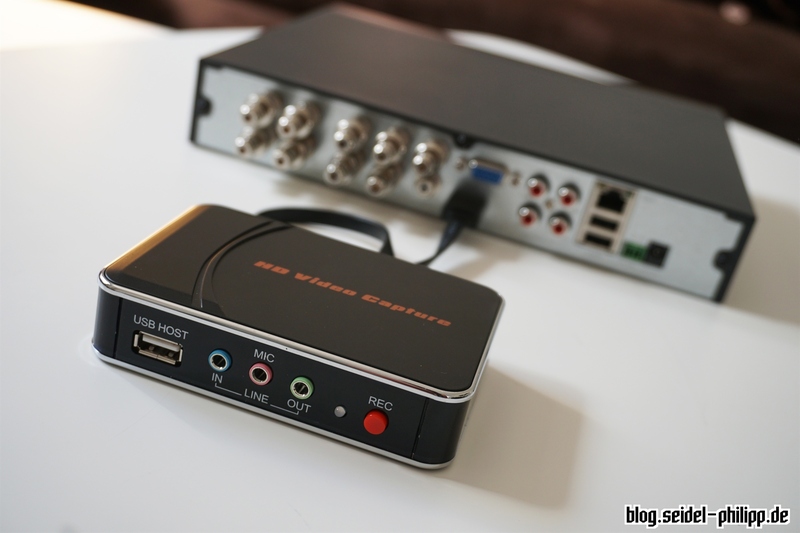 First I bought an analog video quad splitter. Unfortunately I was disappointed by the quality. 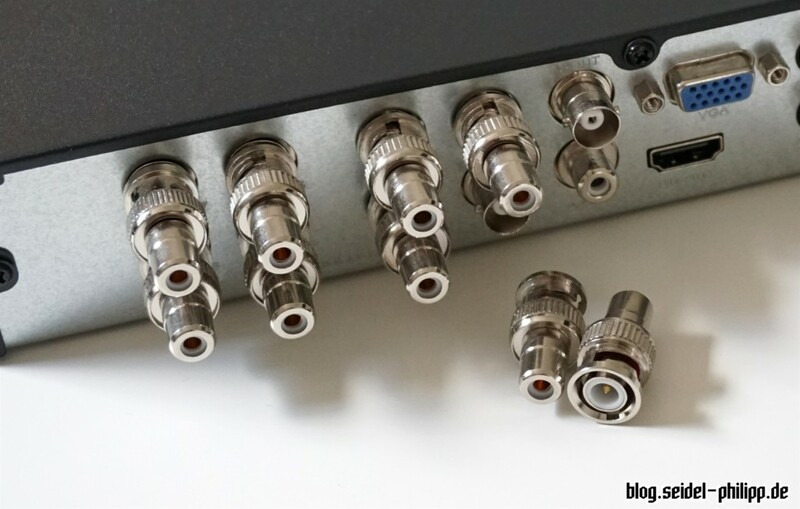 Of course I had not considered that converting the 4 analogue signals into an analog signal which will be scaled up on Full HD is not the best way to do it. The result was as follows: Blurred, pixelated, black and white, shifted and absolutely not to use. Actually, I was already on the right way to get me a splitter from the CCTV industry. 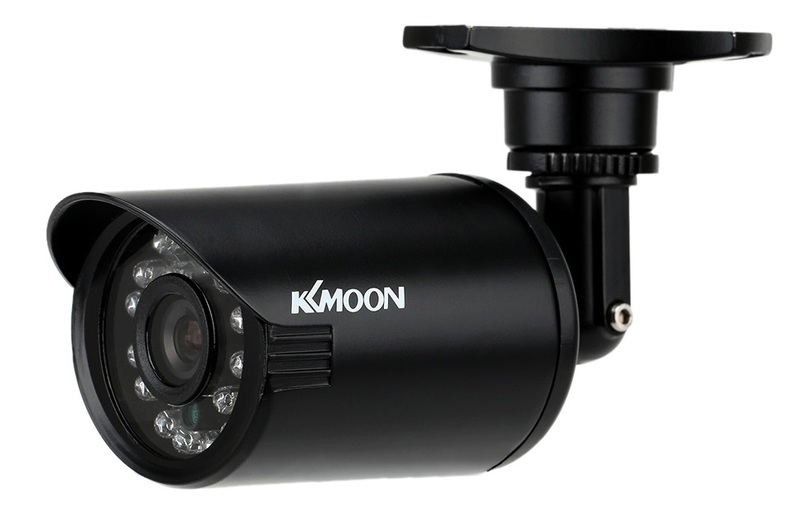 Through a tip from the community and some Google Recherche I found a cheap CCTV DVR receiver called KKmoon. 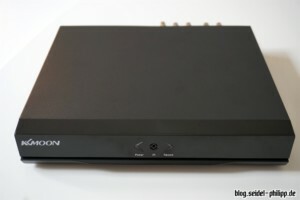 The receivers are available with up to 16 analog video inputs. 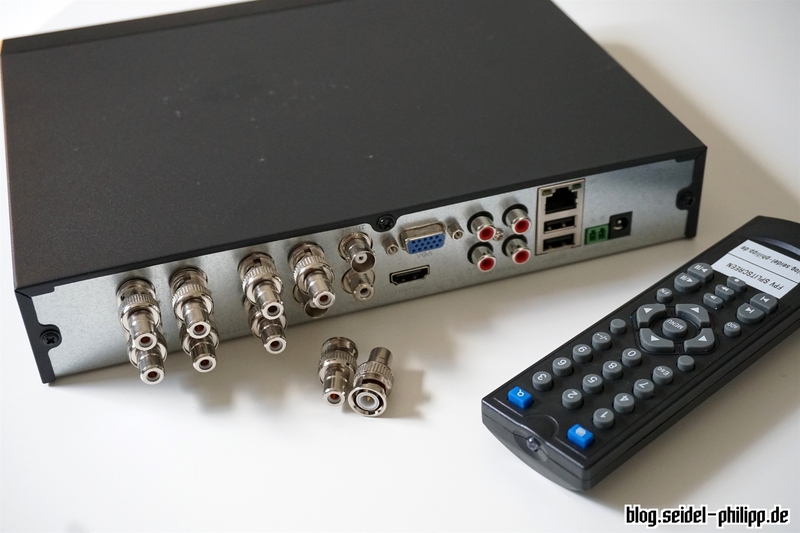 I decided to use the 8 channel version, but in the future I will probably switch to 16 channels. More on that later. 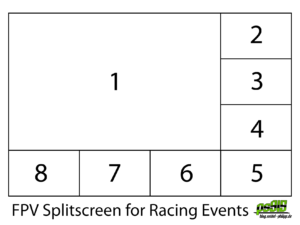 You can set various Splitscreen layouts using the remote control. 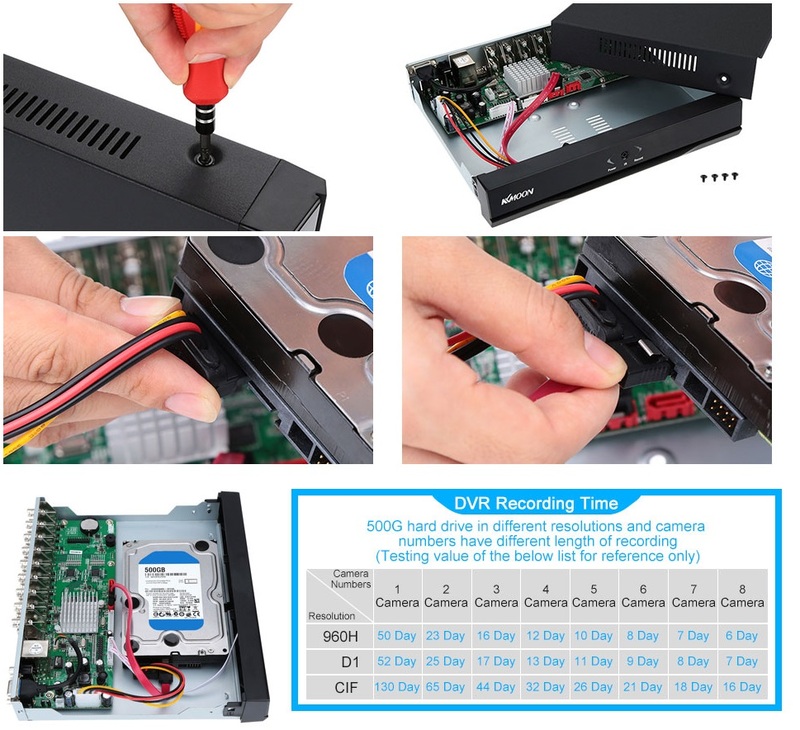 The receiver can of course also be used as a DVR. Especially for the race director this feature is a great thing to identify possible ambiguities such as missed gates or disturbing video transmitters more easily and in case of doubt also prove it. The receiver is controlled with a normal USB mouse or the enclosed remote control. 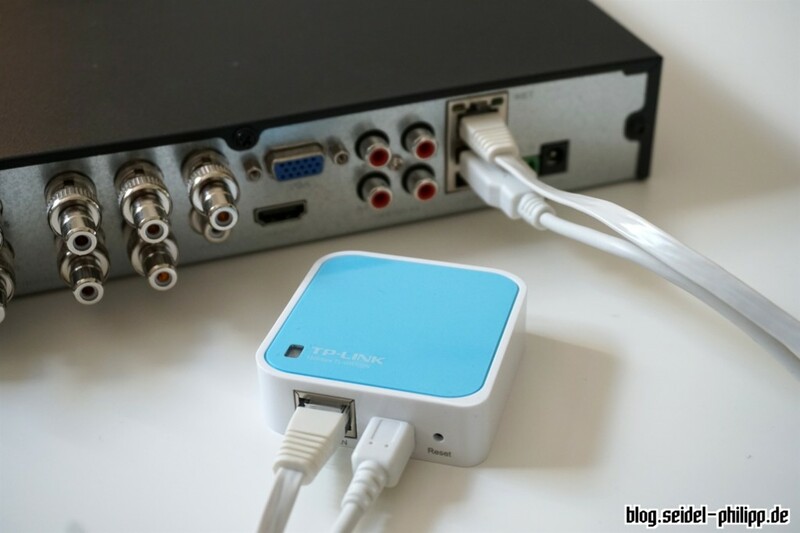 It is also possible to stream all channels via network (or an access point). To do this, you need the app XMEye on the client. 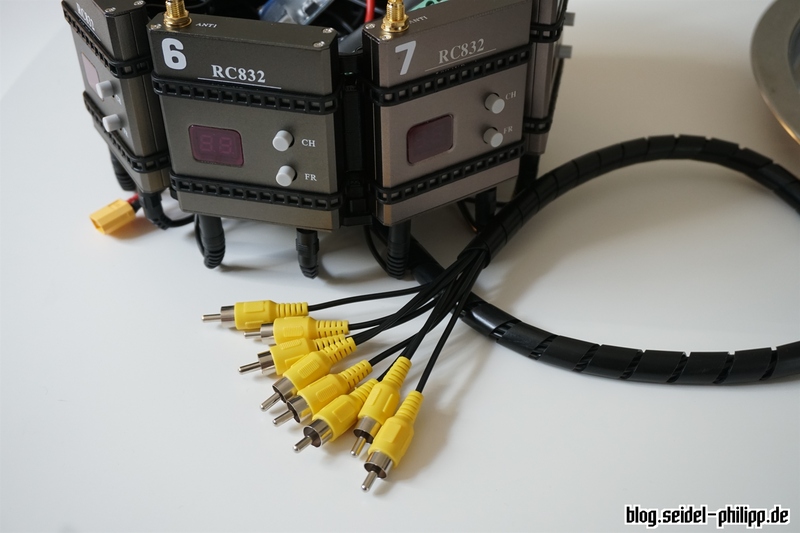 I’ve decided to buy cheap Eachine RC832 Boscam receivers. 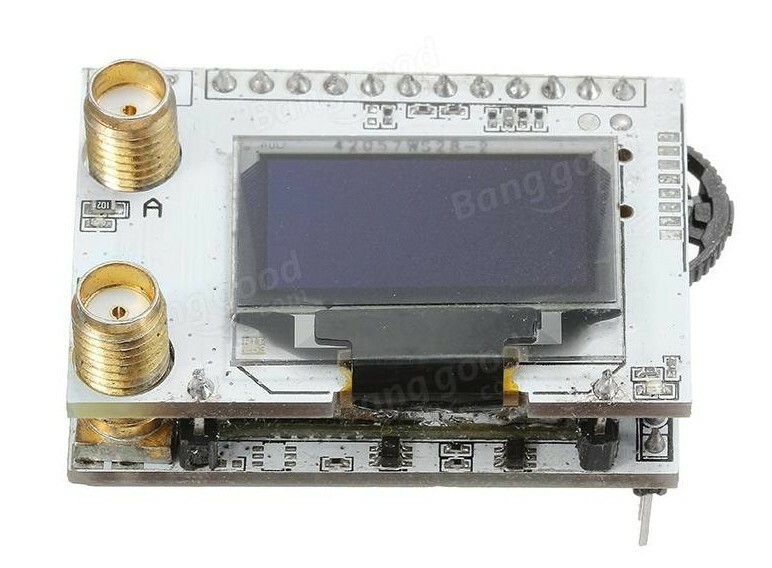 This receivers needs approximately 200 mA at 12 Volt and have 48 channels (including Low Raceband). Price / Performance is excellent with this device. 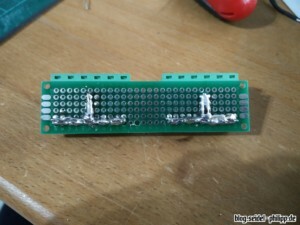 Since I still had a lot of Pagoda PCBs for soldering antennas at home, I decided to go for Pagoda antennas. 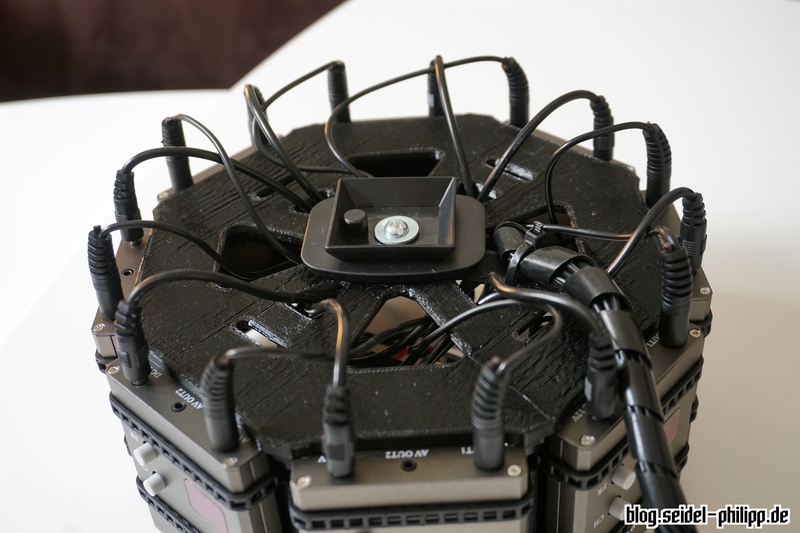 At the FPV Race in Nördlingen, I received a surprisingly clear and stable picture of all 25 mW copter. In the following I go on the accessories, which may be need for the FPV Splitscreen. Since the KKmoon has BNC sockets, one needs these adapters: BNC to Chinch adapter (alternative Amazon). 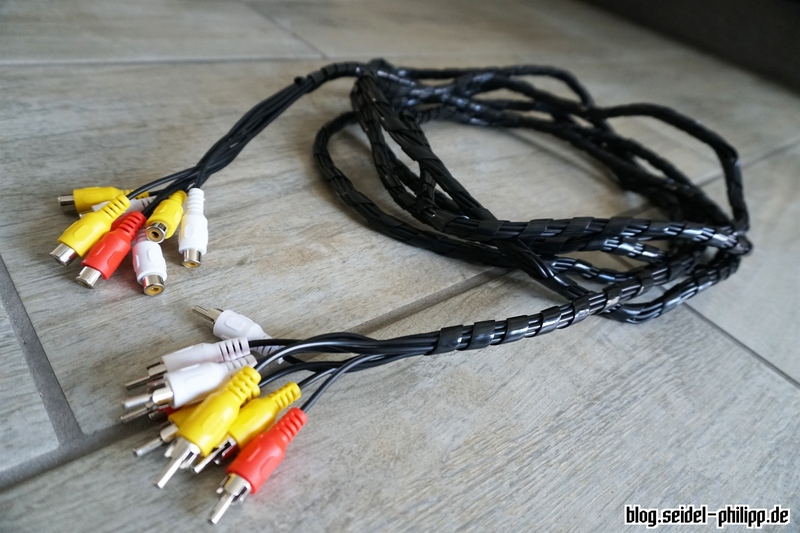 So that I can put the receiver a little further away from the monitor, I bought several 5 meter long chinch cables and put them into a spiral hose. For the voltage supply of the video receivers, I have used the LM2596 voltage converter 3A (alternative Amazon). 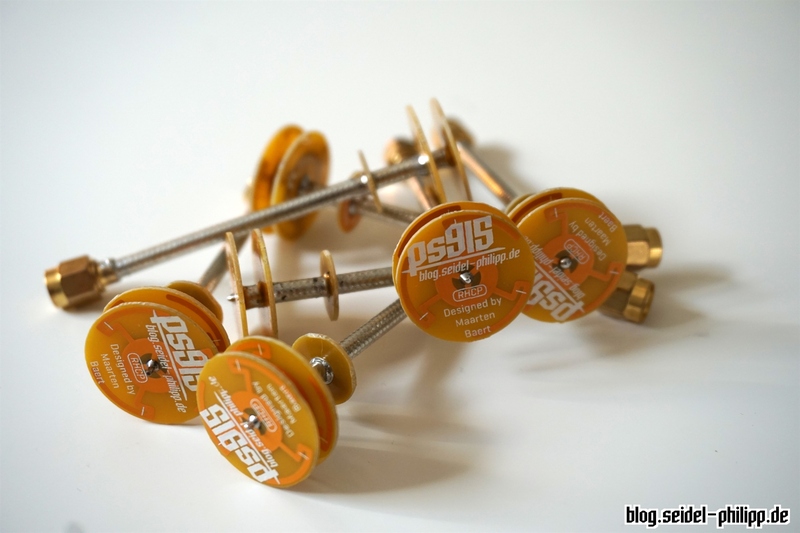 The voltage should be adjusted by turning an adjusting-wheel. 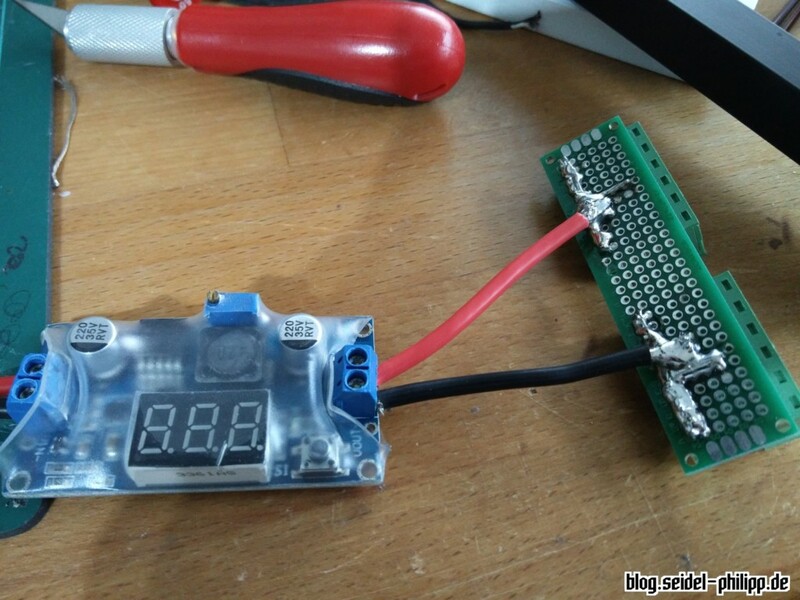 A display shows the input and output voltage on request. A Hama tripod from Amazon holds all the Stuff at a suitable height. 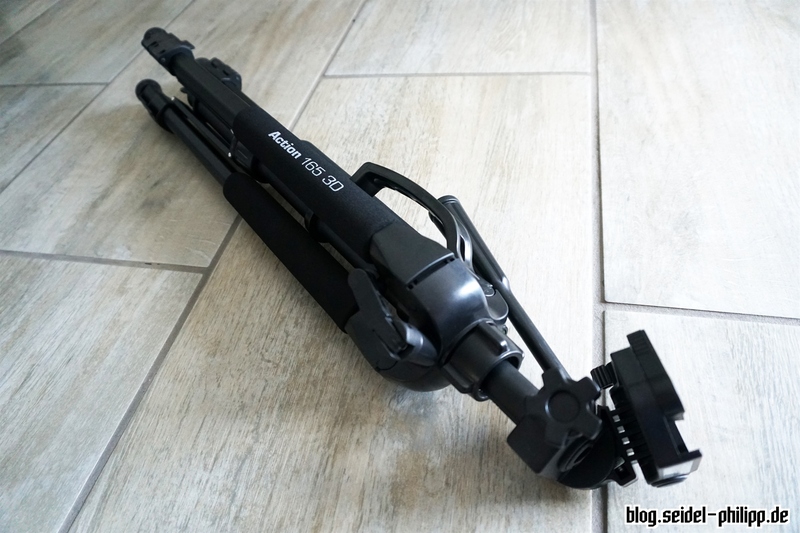 This tripod has a hook where you can hang weights, so that it does not fall over in the wind (as in Nördlingen). Of course, for the simple assembly I have created a receiver mount and 3d printed it out of black PETG. 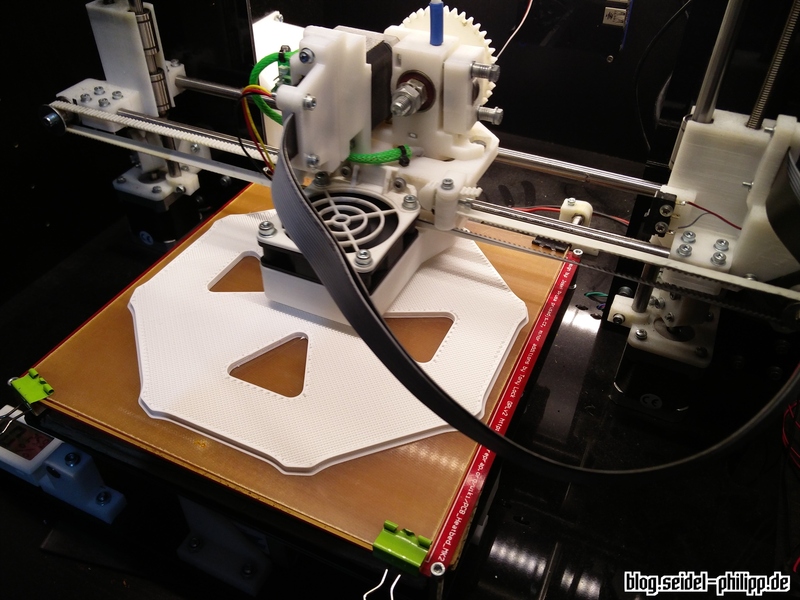 With Rovaflex Softbinder, I have mounted all receivers to the 3d printed part. 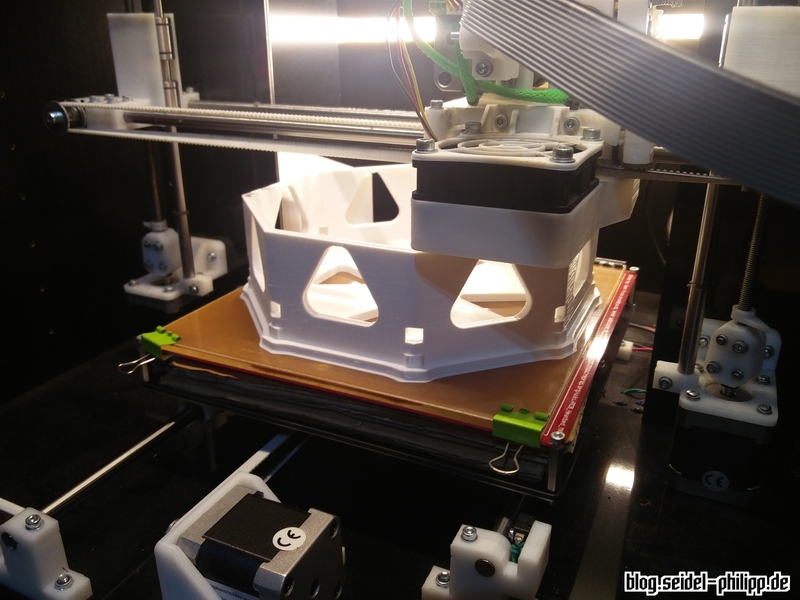 The receivers are located at the bottom on a narrow edge of the 3d printed part and are held with two softbinder in place. I bought a receiver without a hard drive. Unfortunately, I have not managed to connect my hard drive to the receiver. I formatted the hard drive as NTFS so that the KKmoon receiver can recognize it and format it on the DVR file system. 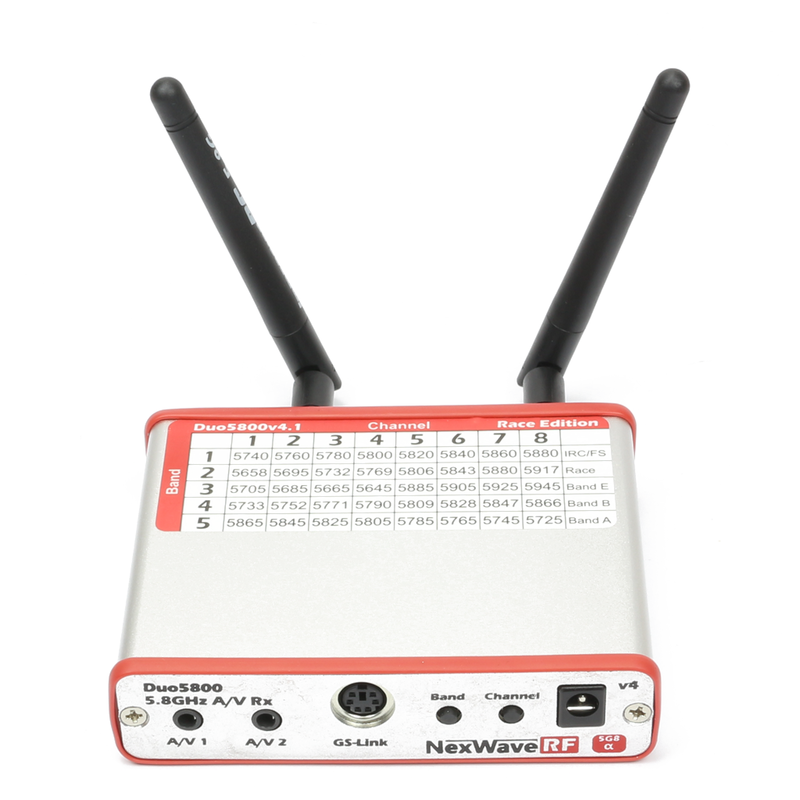 So if you want to use the recording function of the KKmoon and want to record all channels individually, you should use the version with built-in hard disk. 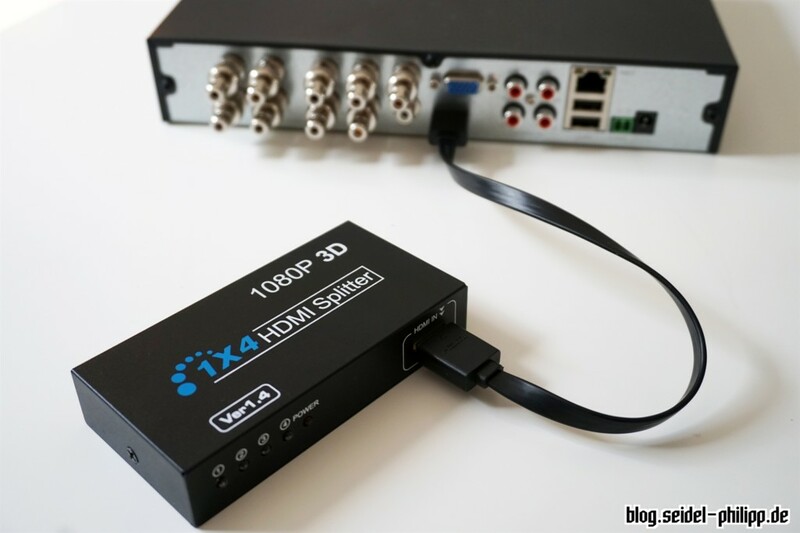 I will now use a HDMI recorder to record the entire FPV Splitscreen in a file (see below). Via the TP-Link N300 access point you can create your own WLAN network in which you can view the stream. To do this, you need the XMEye app on all clients. The delay is however very strong and the quality of the stream is bad. So this is for me rather a nice gimmick. You can not really pursue a race with it. 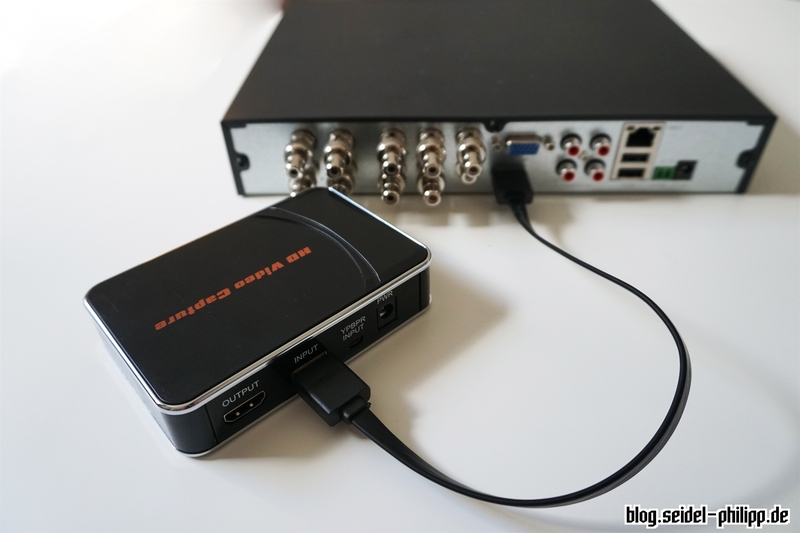 Since I did not get the internal hard drive to run i will use a HDMI recorder instead. 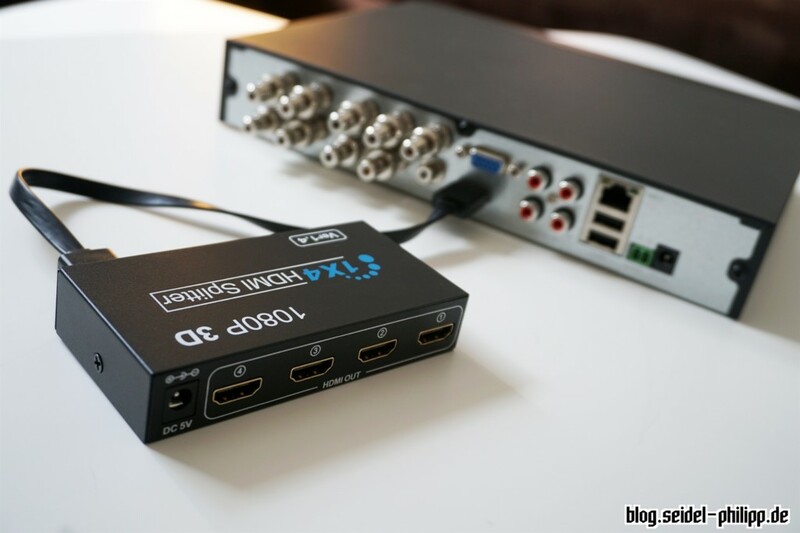 The device grabs the signal almost without delay and stores the entire HDMI stream on an external hard drive or USB stick. 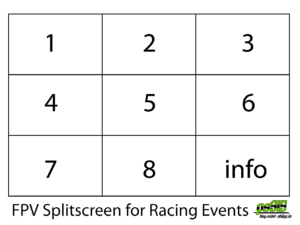 Especially for the race directors on an FPV event I find this recording function ideal. 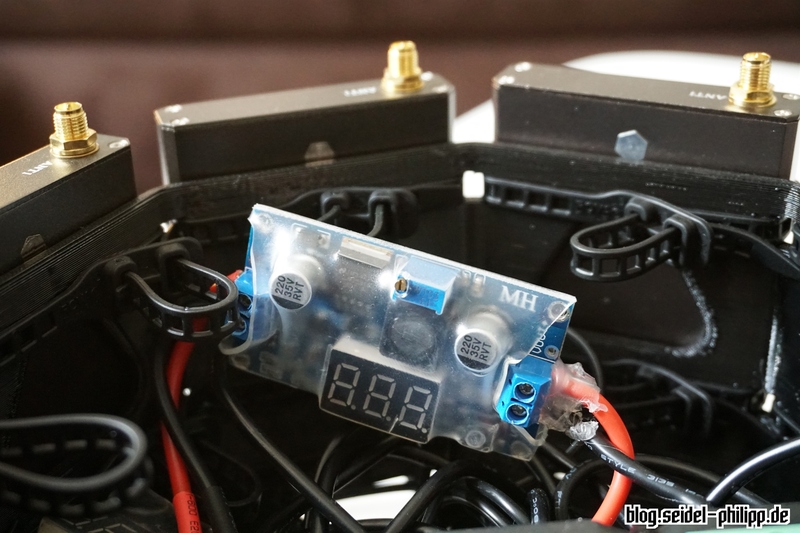 The Eachine RC832 Boscam receiver together with the Pagoda Antennas do a really good job. At the race in Nördlingen, I always had a good picture and only a few dropouts. Of course one could improve the whole system by using a diversity receiver. This would allow you to connect additional 8 patch antennas in order to avoid dropouts and increase the range. 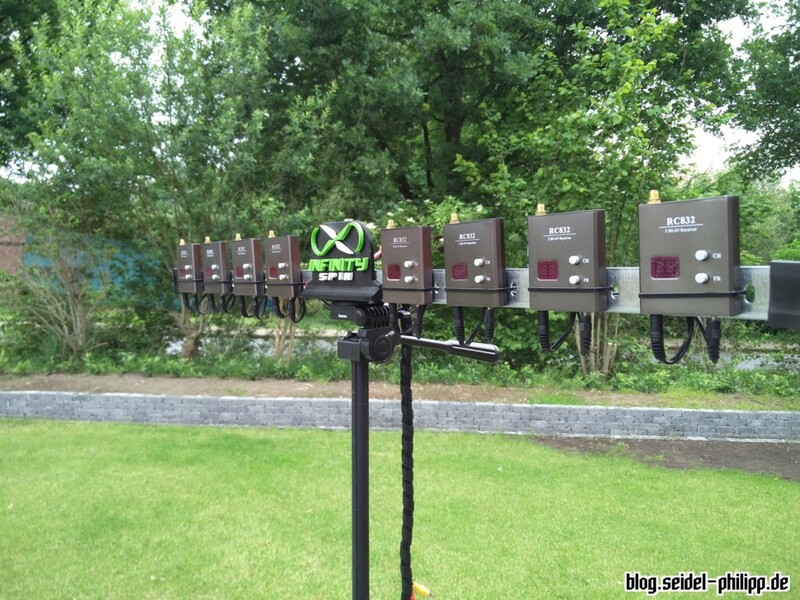 Unfortunately, most Diversity receivers are expensive and would increase the cost of my 8 Node FPV Splitscreen. My idea now is to build my own diversity receivers from this Github project. For this I will probably design a PCB in the future. Alternatively, you can use the cheap diversity modules from Eachine to get the benefit of Diversity. 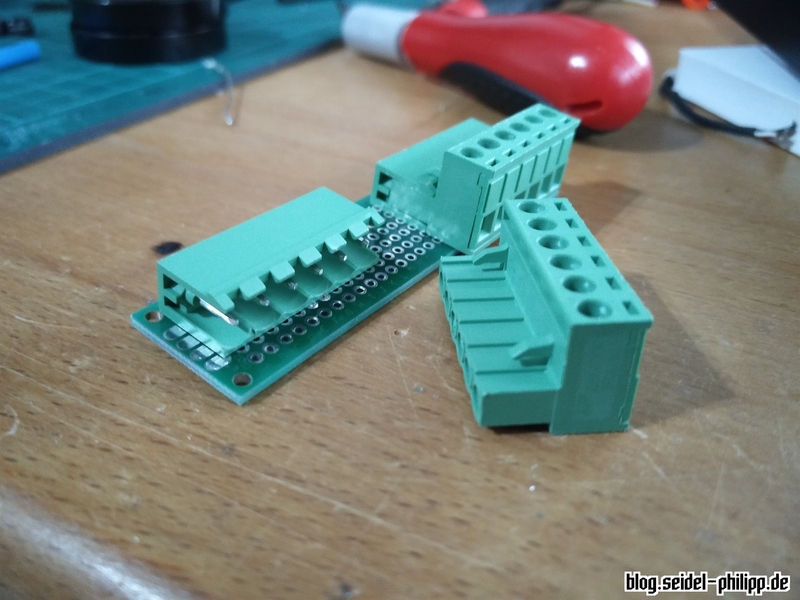 For this I also would create a PCB, on which the modules are stacked on. A big drawback is that the KKmoon receiver turns the picture black (so-called Bluescreen) when the signal is weak. Especially in flight, this leads to image dropouts and unsynchrony. 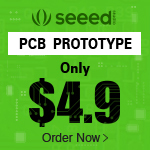 To avoid this, I’ve already thought about it and I will design a PCB of for 8 MinimOSDs. The video signal is looped through them and will be edited. 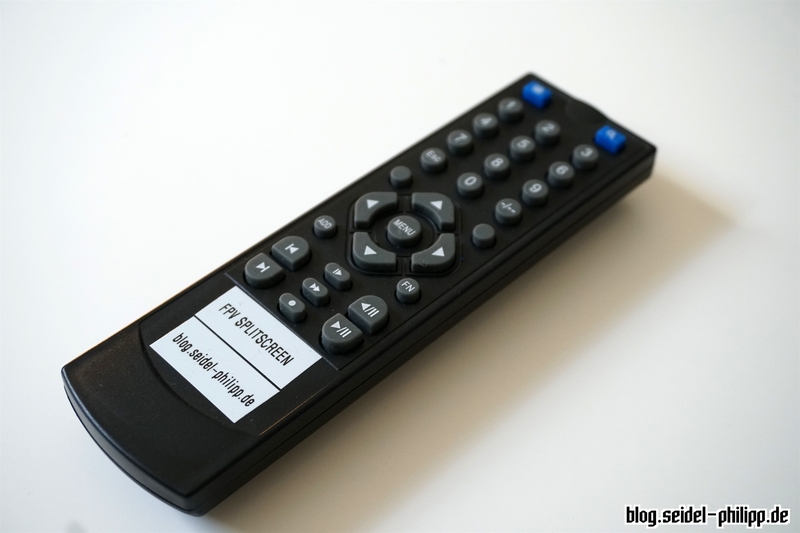 For example, the channel of each receiver can be displayed in the corner of each video. Of course, I am dependent on getting an API to get access to the racetimers data. Let’s also think of the spectators. Unfortunately there was not a single monitor available in Nördlingen for the spectators who could have followed the race from the pilots view. Partially, the spectators have come to my already crowded tent to watch the race on my Splitscreen. 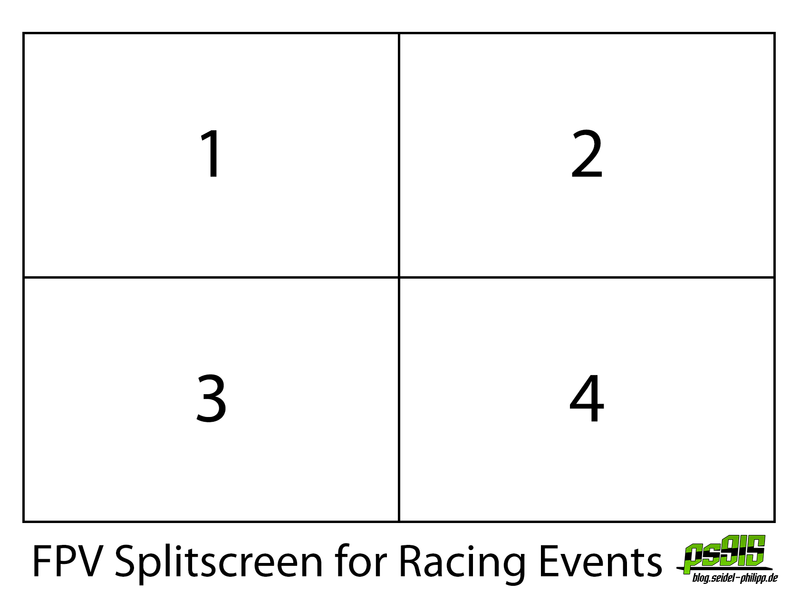 That is why I have an idea to expand the FPV Splitscreen by track or pilot cams and make the race even more exciting. Unfortunately I bought „only“ the 8 channel version. 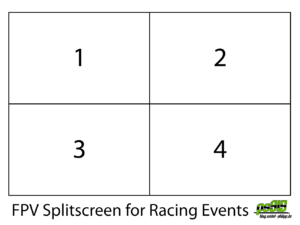 I think of buying the 16 channel version (or a second 8) and either equip the track with cameras, or to install a camera before each piloted seat, which can be seen on the splitscreen under its FPV image. So one would also see the live reactions of the pilots. 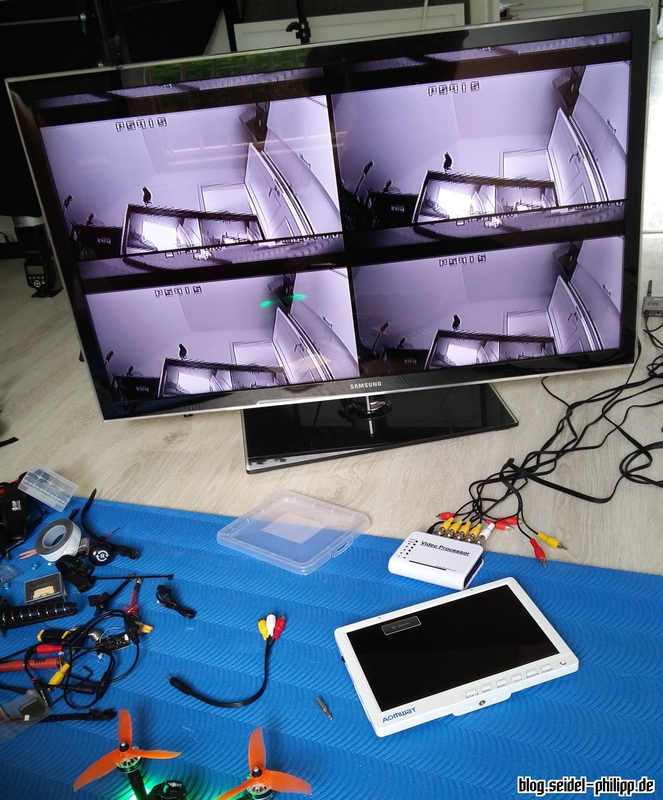 The goal of this project was to build a cheap splitscreen to make FPV races interesting for spectators. 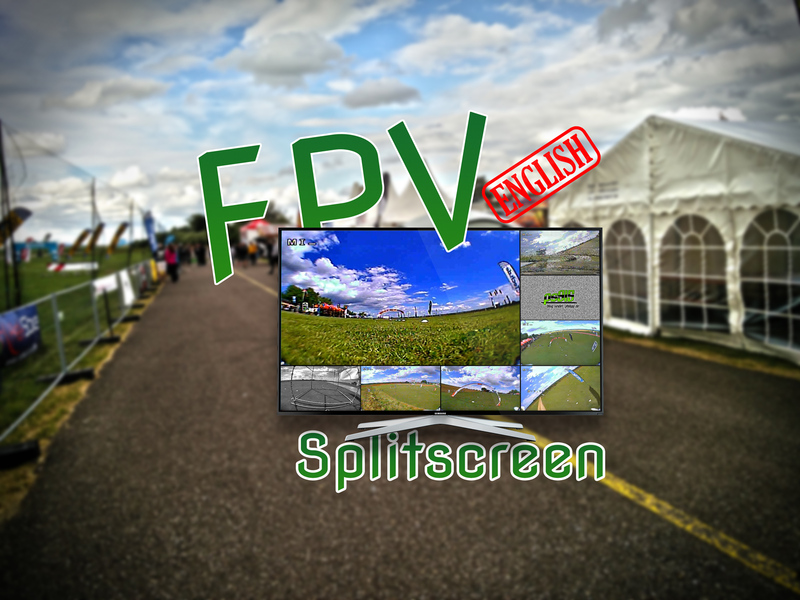 At the FPV race in Nördlingen the spectators were very pleased about the Splitscreen i built. 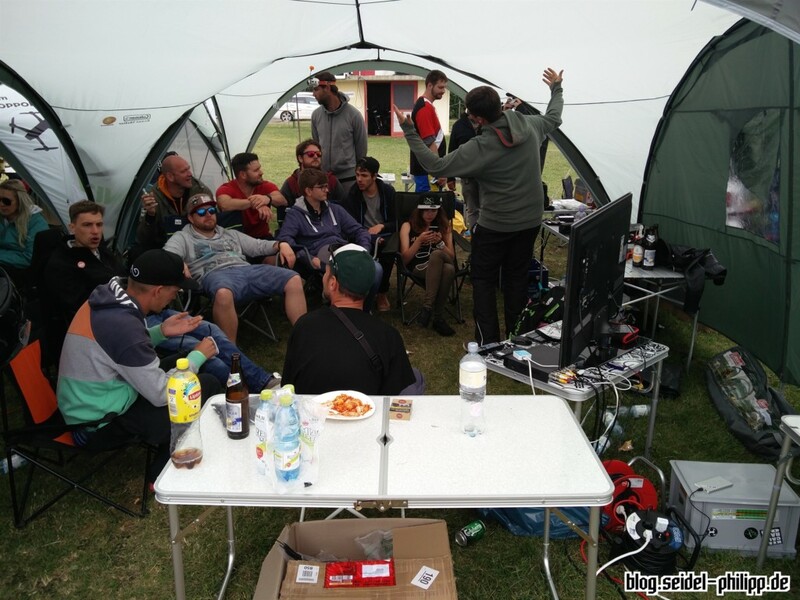 Our two event shelters were always crowded and the surrounding tents were also watching the race on the Splitscreen. 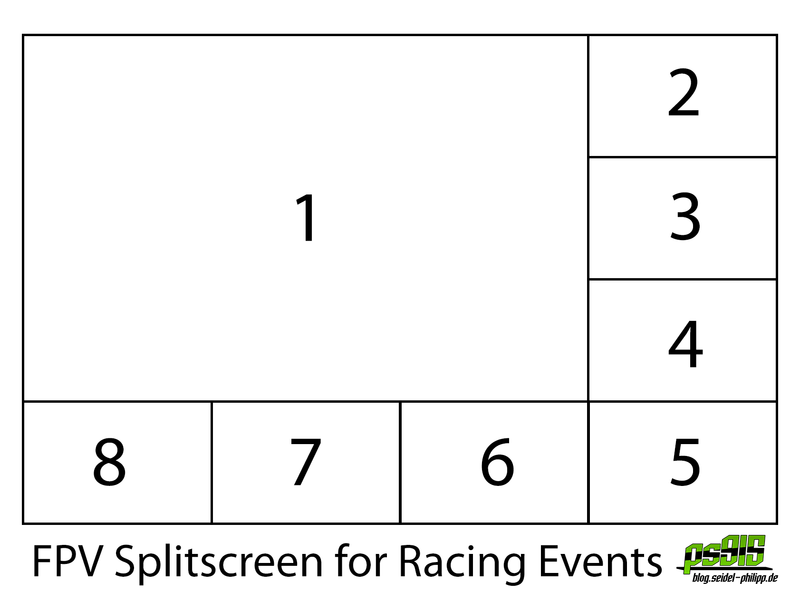 If you build a Splitscreen yourself I would be glad if you send me some pictures, which I can publish here on my blog. Great article. Have you had any problems when one of the pilots has ntsc camera and the others have pal? Hey, can’t say something about that, cause i dont know if there were both cameras on that event. 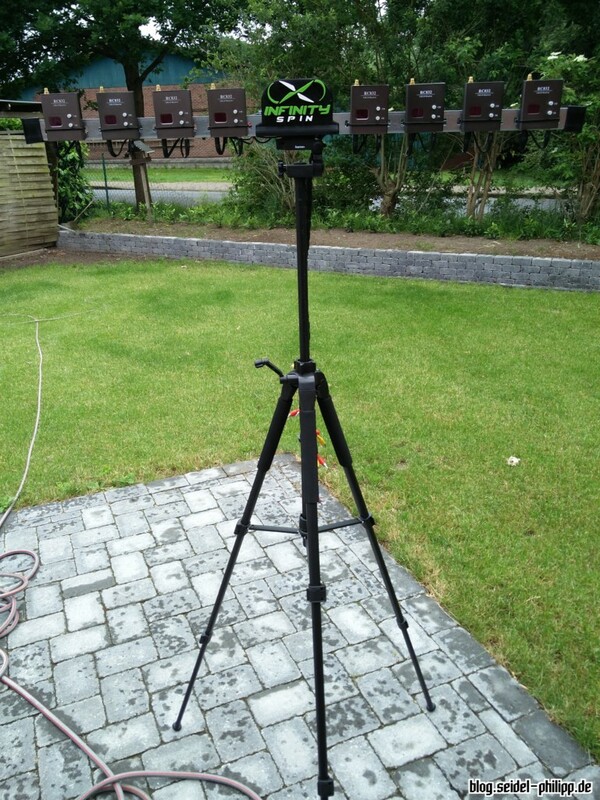 Hello, my guys at http://www.propnuts.co.uk have built up a multi rx using the exact same cctv box, the initial idea for us came from joe scullys setup. We’ve built ours with 4 receiver modules inside the box wired directly into the video 5-8 input which can also double as a lap tracker. Interesting idea with the minim osds, we had considered a multiplexer to clean up video feeds for recording. 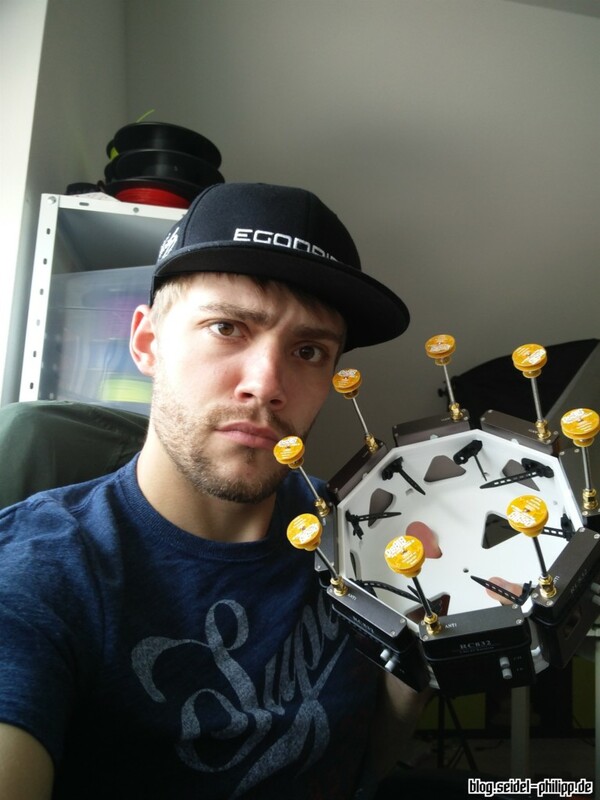 Thanks for sharing, it’ll encourage us to do a writeup of the build.